The black Compressport Racket quad compression sleeves dynamize your muscles by reducing the toxins that accumulate on your thighs. They allow a better oxygenation of your muscles. Your thighs are highly solicited during your squash games. Push your limits with the Compressport Racket quad compression sleeves. 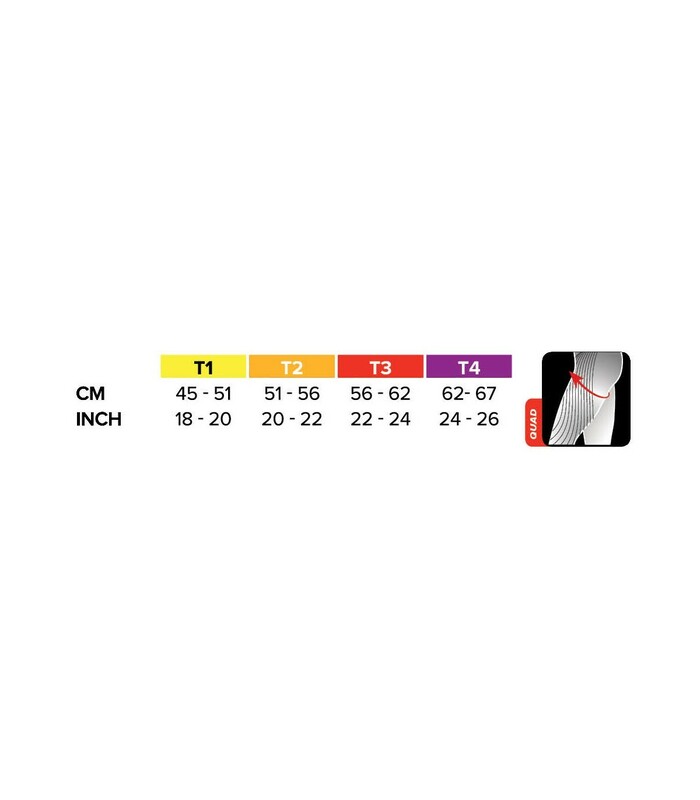 With these compression sleeves, your thighs are more powerful, your quadriceps are better oxygenated and better protected. 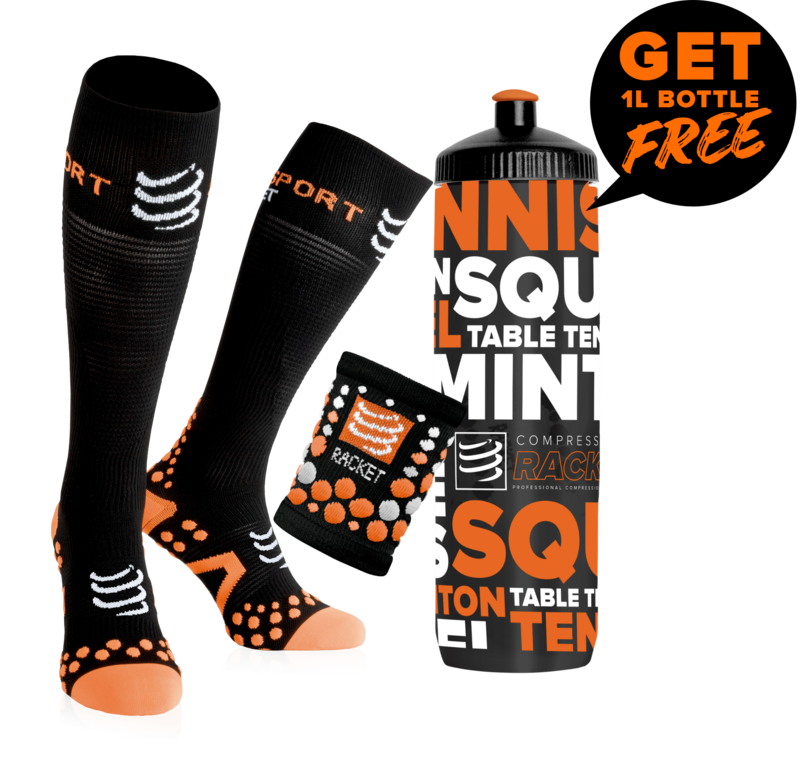 The Compressport Racket quad compression sleeves give you style on the court, but above all, allow you to surpass yourself. Protect your thighs from injuries and cramps with these compression sleeves. Thanks to the compression exerted on your thighs, your muscles, your veins, you feel less tired. You will be performant longer thanks to the reduction of the toxins that accumulate in your thighs. Your muscles will be more powerful thanks to the oxygen they receive with the muscle and venous compression. 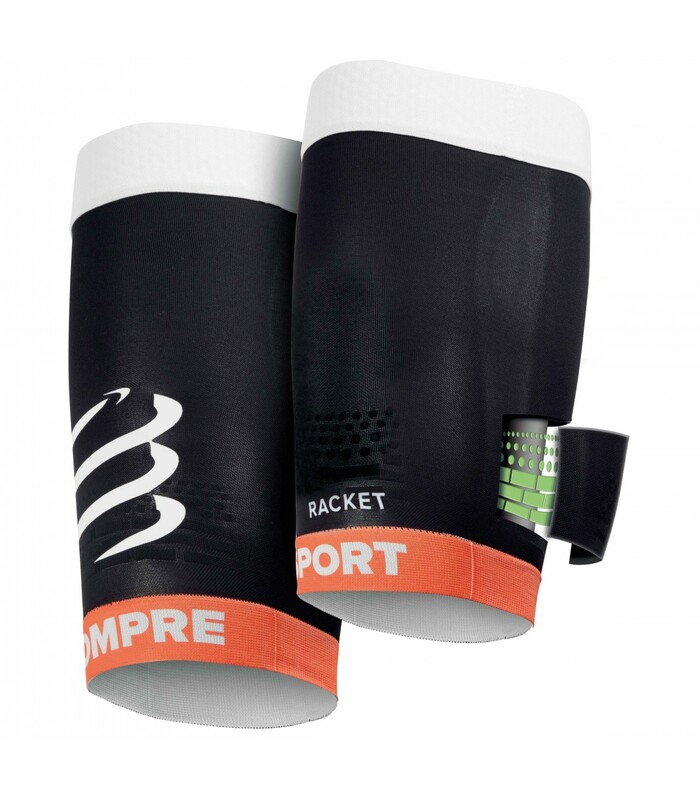 The black Compressport Racket quad compression sleeves are a must have to go beyond your limits. As you can see on our product pages, we indicate if the desired products are available at the time of your order. This allows us to deliver your order as soon as possible. Packages are shipped within 24 hours after receiving your payment confirmation. The standard shipping method is Colissimo. Shipping fees include handling, packing and postage costs. 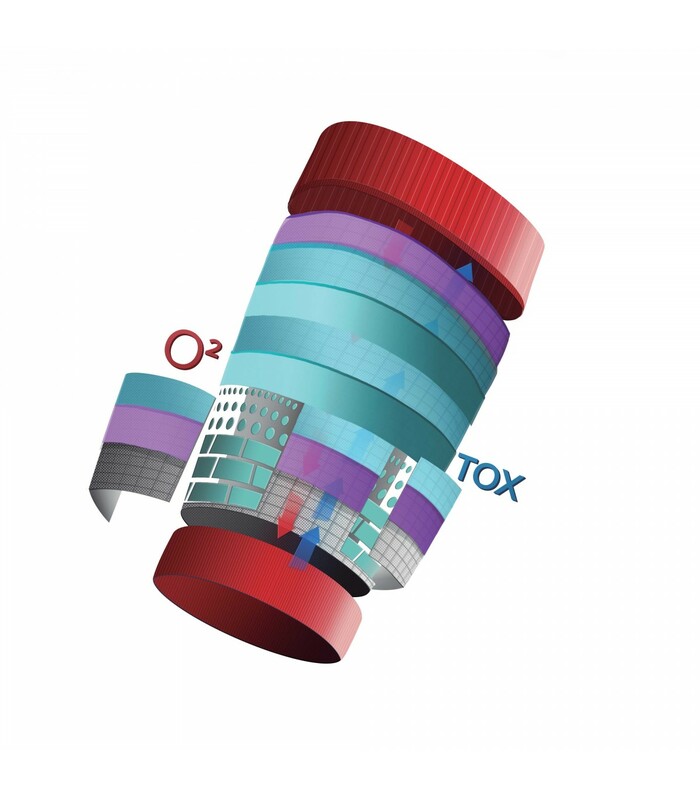 They can contain a fixed part and a variable part based on price or weight of your order. We advise you to group your items in one order. We cannot group two distinct orders and you will have to pay postage for each of them. Your package is shipped at your own risk, but special care is taken to protect fragile products. Packages are oversized and protected. The Customer may return the products within 16 days with the right to reimbursement of the purchase price. This period of limitation begins following receipt of the goods after the statutory cancellation time limit has expired. The goods have to be packed originally (if the goods had been sent in an appropriate packaging), completely, unused (in case the goods were new ones) and free of damage. Your legal warranty claims are excluded from this, if the goods have been damaged in the delivery process. After the product has been successfully received by the Supplier within the limitation period of 16 days, and if all of the requirements referred to above have been met, the full purchase price will be paid back to the customer.